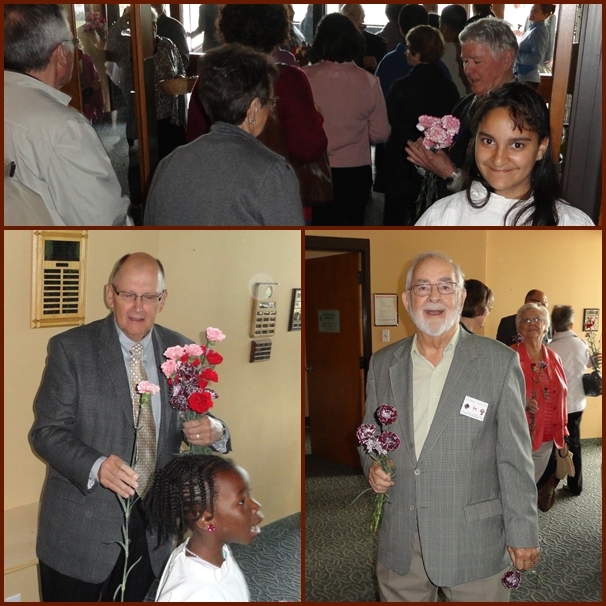 This weekend, after all Masses, our Council distributed flowers to the mothers in the congregation. It’s a symbolic gesture that reminds Knights not only to honour the mothers among us but also that our order was created as a fraternal benefits organization charged with the care of our deceased members’ widows and children. Members of Holy Cross Council distribute flowers for mothers at the entrance to the church.